Jane, could they be any cuter? I'm glad everything turned out okay, that is scary! I love the photos you did take, the balloons, outfits, everything looks just perfect! Thank goodness she's OK! 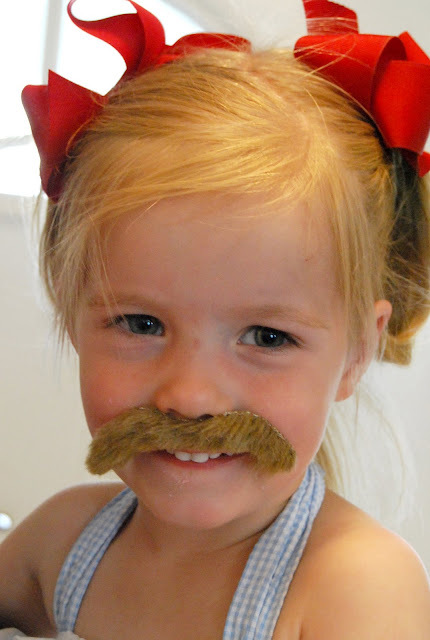 On the bright side now you know if she ever grows a mustache she will still be absolutely darling! Cutest darn photo shoot Janie! BTW where did you get those dresses!!? We gotta go just to get a stache. That is funny. Those pictures are adorable. That mustache is HILARIOUS! Glad she is doing better, those pictures are to die for. Is Adalie okay? Last night I was worrying about her. We said so many prayers for Addie Jo yesterday, I'm certain I heard heaven say "Enough already!!" The mustache picture is amazing. If I saw that child leaving the pediatrician's office I would shake my head sadly and wonder what she was being treated for. Poor little thing...that would have worried me so much! Happy to hear she is doing better! That mustache is hilarious...and all the pictures are ADORABLE! What lucky children to have a mother who is so talented at photography! That is so funny, that is exactly what Brad choose from the dentist. These two are going to be such an item when they get bigger. I'll have to show you Brad's pic later. So glad miss Addie is ok, love your kids! 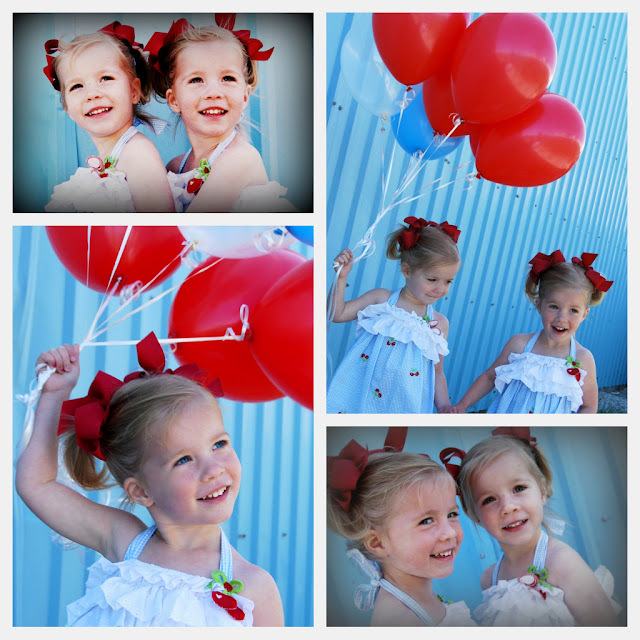 I love the baby blue and red pics! My first thought: From now on, the doctor should just give out the token first and observe which prize is chosen. Any child that picks the mustache is CLEARLY concussed. My second thought: Jane took a photo shoot to preserve memories of her child BEFORE calling the doctor? Maybe Jane should be given a token. So glad that she is okay today! I cannot believe how adorable they are. Ty is definitely going to have more competition than Brad to worry about. Addie - don't you ever fall and hit your head again! My heart can't take it! I am just dying from my head to my toes over the mustache & pictures. Okay, Jane, YOU WIN! Your twin girls are cuter than my twin girls. I can't figure out which is funnier, the photo of that mustache on her, or Katie's thought of "what she is being treated for"! I'm crying I'm laughing so hard! I saw those mustaches the other day and thought that was a weird prize. Sofie actually thought about getting it, and I told her no. I guess I should have said yes. I'm so glad she's okay and the photos are adorable! I'm so glad she's ok! I LOVE the picture with the mustache...how funny! This made me laugh so hard! I guess there's always a silver lining. Great pictures, too. I'm sure it helps that you have such adorable kids to work with.